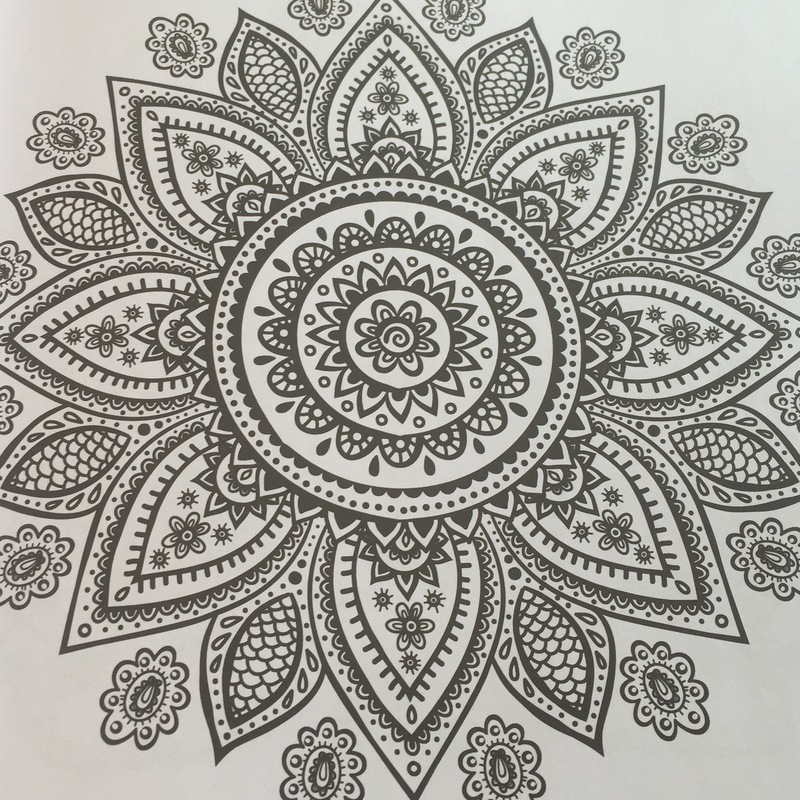 I’ve seen a lot of people recommending adult colouring books recently and, having fractured a bone in my leg, I thought it would be an ideal way to spend quality time with my son. I’m not able to run around with him at football practice or take him to the park, but I can certainly share some quiet time encouraging him to learn the fine motor skills needed for writing. I found that colouring felt really productive. The title page is split into easy to complete sections so you can pick it up and easily make some progress in a few minutes. It was really satisfying at the end to see the progress I had made. 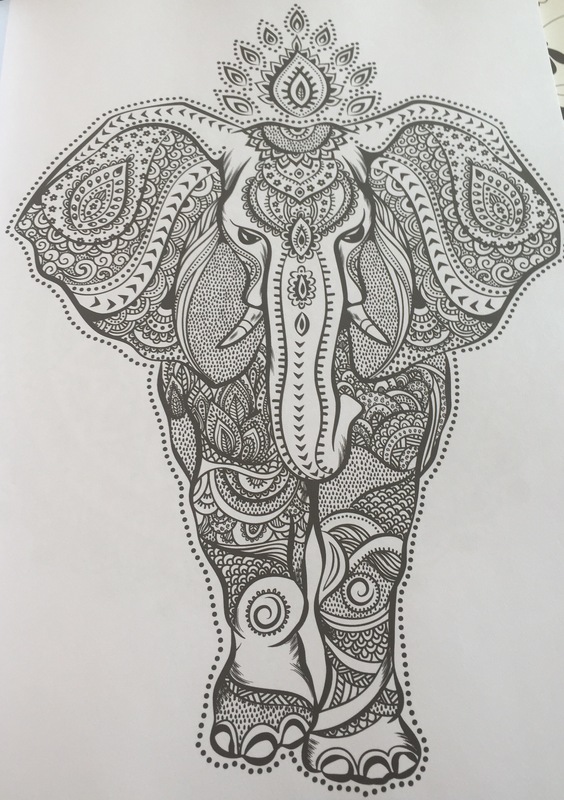 I could easily spend hours colouring in each of the designs in turn to escape from the world around me. I found that focussing on colour combinations and keeping it tidy was enough to block out intrusive thoughts. I used pencils to colour in the pages as I think they are easier to manage than pens. If you were to want pens you would certainly need a fine tipped set. This book is great for pens as the design is only on one side of the page so it’s unlikely to run through to another picture. There are some very fine detailed pages whereas others have slightly larger designs so you can choose your picture based on your mood. 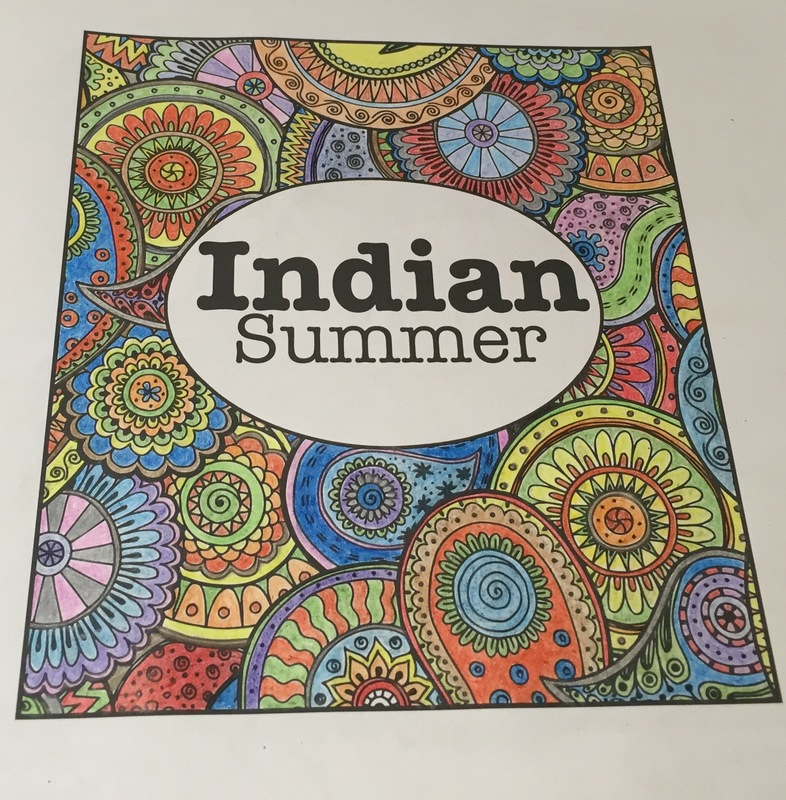 I was drawn to the Indian Summer book as I loved the variety and intricacy of the pictures. 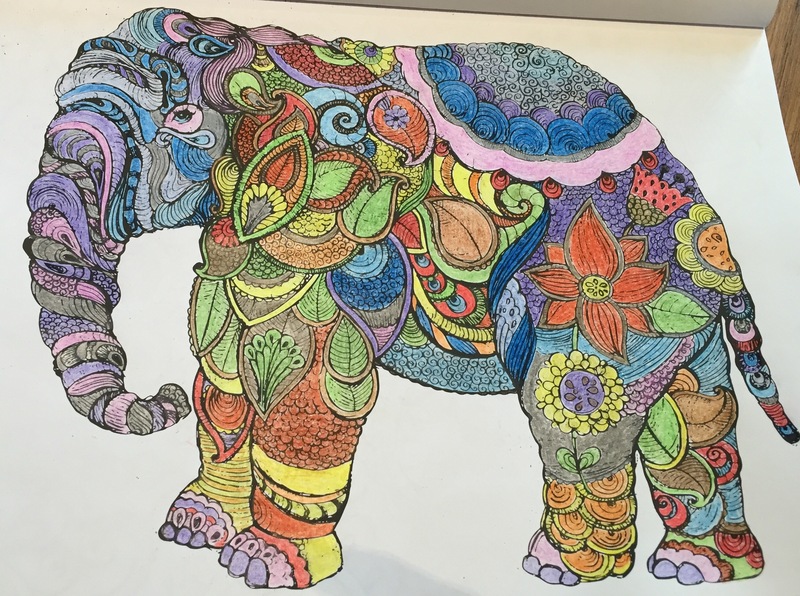 Have you tried any adult colouring books? 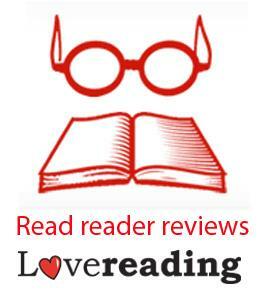 It would be great to hear about which books you have and what you think of them.